2. Network with the best in the industry. 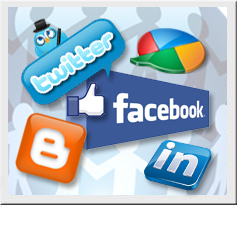 In social Media major social networking sites including Linkedin, Facebook, Myspace, Flickr and Twitter etc. This is the utmost beneficial way of doing effective SMO. You just need to post content on your blog on an ongoing basis. One of the most important aspects you need to emphasize on. Because reputation over the Internet marketplace is very important, without which getting success from your online business will not be possible at all.